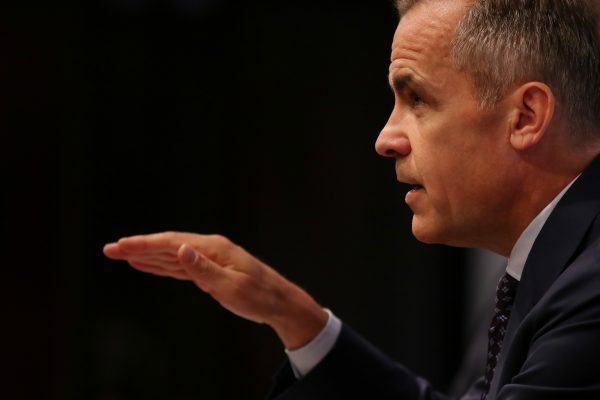 LONDON—The Bank of England pushed interest rates above their financial crisis lows on Aug. 2, but signaled it was in no hurry to raise them further as Britain heads for Brexit next year with no clear plan for leaving the European Union. 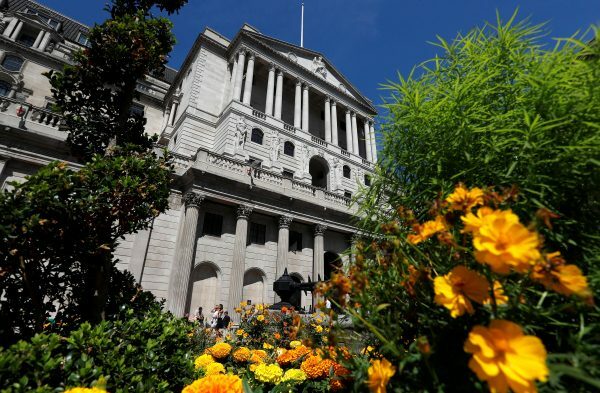 The BoE’s nine rate-setters were unexpectedly unanimous in their vote to raise rates to 0.75 from 0.50 percent, the level at which they have spent most of the past decade, apart from a period after the 2016 Brexit vote when they were cut even lower. Economists polled by Reuters had mostly expected a 7–2 vote in favor of a hike. “Policy needs to walk—not run—to stand still,” he said as he explained a new BoE estimate of neutral interest rates for Britain’s economy, which the central bank believes will rise only slowly against the backdrop of a strong global growth. Growth in Britain, the world’s fifth-biggest economy, has slowed since the referendum decision in 2016 to leave the EU. The BoE nevertheless said the economy was now operating at almost its “speed limit,” or full capacity, raising the prospect of more home-grown inflation pressure ahead. With less than eight months until Brexit, London, and Brussels—as well as key members of Prime Minister Theresa May’s Conservative Party—remain far apart on what their future trading relationship should look like. 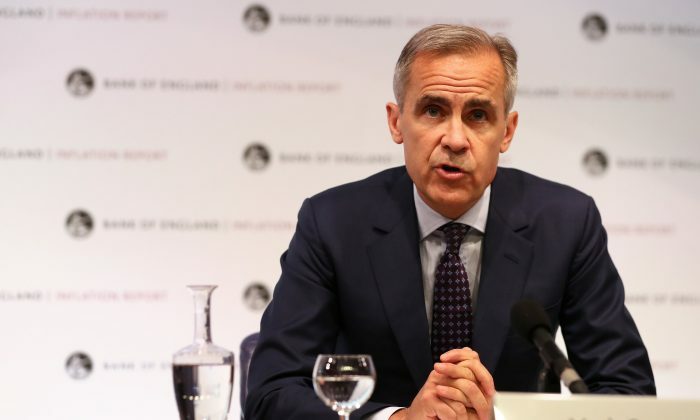 But Carney said there was a wide range of outcomes for Brexit—most of which would require rates to be at least as high as now—and that the central bank was working on the assumption that there would be a smooth transition. “The mistake is to always wait, wait, wait until you have perfect certainty because we don’t know exactly when that higher degree of certainty is going to transpire,” he said. The BoE’s message on rates remained one of gradual and limited increases as it saw inflation only a fraction above its 2 percent target over the next few years. It said its forecasts were based on bets by investors who expect another rate hike only in late 2019 or early 2020, with Bank Rate creeping up to 1.1 percent in late 2020. That was a fraction lower than a projection of rates of 1.2 percent the last time the BoE published forecasts for the economy in May. “The economy has done just about enough for the Bank of England to justify a hike today. But no one should get too excited about this being a sign of things to come,” said Luke Bartholomew, an investment strategist at Aberdeen Standard Investments. It also expected Britain’s economy would grow by 1.4 percent this year, unchanged from its forecast in May, but it nudged up its 2019 forecast to 1.8 percent from 1.7 percent. Wages were likely to be growing by an annual 2.5 percent at the end of this year, a bit slower than forecast in May, before picking up to 3.25 percent by late 2019, unchanged from before. Carney reiterated there could be “consequences for monetary policy” if Brexit led to a shock for Britain’s economy. Some investors think the risk of a global trade war is another reason for caution. The BoE said it saw “tentative signs that actual and prospective protectionist policies were starting to have an adverse impact” on global trade. It also fleshed out its thinking on how far it is likely to go with its planned rate hikes by publishing a new long-term forecast for what it called Britain’s trend real interest rate, or “R*,” of zero to 1 percent, more than 2 percentage points below its pre-financial crisis level. Adjusted for the BoE’s inflation target, this would imply Bank Rate of 2 to 3 percent to keep growth and inflation rates stable when the economy is running at full capacity. In the shorter term, the Bank Rate implied by a so-called equilibrium real interest rate, or “r*,” was likely to be somewhat lower, the BoE said, without giving a precise estimate. Carney said the estimates should not be considered as a target for BoE policy but added r* was likely to rise slowly.